Allow me to take this little bit of necessary blog downtime to talk about a newer artist. Back in this blog’s salad days, I posted a handful of tracks from new and exciting post-punk/synth/wave acts, and I’ve been meaning to revisit this format every now and again to mix things up a bit, so while I’m stuck with the daunting task of reuploading this blog’s entire back pages, I figured I’d offer you kids a little modern, yet equally relevant content. That said, the band on the slab is none other than Mt. Simms. 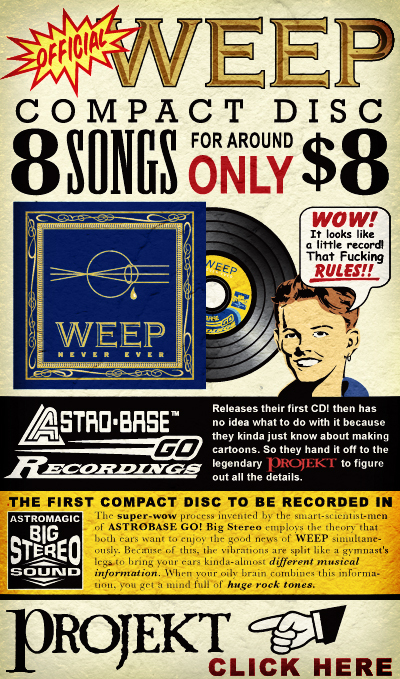 A featured artist on Montreal based Hungry Eye Records, Mt. Simms is a full collective developing from Mount Simms, a similarly styled one-man experimental/electro-pop outfit originally hailing from LA. Led by Matt Sims, a resident DJ/performance artist, Mount Sims released two stunning synth records throughout the new millenium, expanding the boundaries of both electro-pop and performance art. By the time 2005’s Wild Lights hit the shelves, Matt added two members to back up the band’s growing live presence. After the subsequent tour, Mount Sims disbanded as Matt relocated to Berlin to start work on a third record as Mt. Sims. The new outfit consists of Randy Twigg on bass and Andre Lange on drums. Despite the mild change to the band’s moniker, subsquent sounds explored different territory, adding a much darker and chaotic post-punk edge to the previously solid electronic aesthetic. The results, however, are equally captivating. More to come. Expect few new posts until the old links are reuploaded. The band would support the Wedding Present during their ephemeral run, and would release a handful of EPs up until 1997, just a few years prior to the turn of the century Chameleons reunion. Dave is currently active in Coconut DF. 2. Is There A Mother-In-Law In The Club? It’s been brought to my attention that after the great zshare crash of last week, most of the files uploaded on these back pages are caught in an infinite relooping, and won’t download. I’ve fixed the 1000 ohm upload as of last night, but have quite a few to work on over the next few days/weeks/etc. That said, if any aren’t working, please leave a comment in THIS post and let me know, so I can keep track and tackle them one by one. No guarantees if you leave them in the old posts, as I’ll most likely forget. I’ll try to keep this one at the top of the page until this issue is sorted out, but keep all comments and reupload requests to this post, pretty please. Otherwise, I’m still going to stick with zshare, as it’s the only hosting site that hasn’t given me trouble. Until now, that is. Eventually, I’d like to upgrade all the old divshare material to zshare, as my bandwidth there expires too fast and I’m generally out of free storage space. Stay tuned. Before I get to today’s post- Zshare seems to be working again. That said, I’ve been receiving several email requests to reupload records, but after checking out the links, they still all seem to be up and running, so just give ‘er a refresh now and see if that sorts out the problem. If there’s anything that truly has expired, let me know. That said, I’ve been meaning to post this record for some time, but it took a request for me to finally upload it proper. 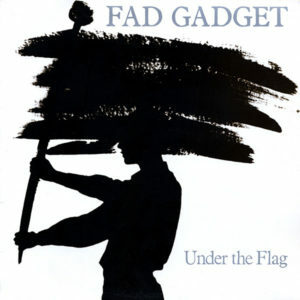 Though I already touched on Fad Gadget back in the blog’s early conception, it’s only appropriate to finally upload a record that sits comfortably in a top 20 of all time list. Or a top ten. 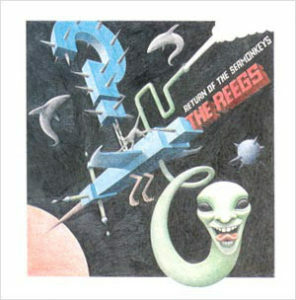 Regardless, this 1982 album is a favorite, through and through. See the linked post for more on the late, great Frank Tovey, but otherwise, let’s get to the nitty gritty. A quick bit of trivia about the record: The album cover and photos throughout are shot by the infamous Anton Corbijn. Also, one of the many female backing singers was none other than miss Alison Moyet, who found fame a few years later as half of Yazoo. Neat! Stay tuned this week for a few treats…I’ve a few requests for some more Venus in Furs, and I may dig out some more rare minimal wave as time allows. Zshare seems to be under some very heavy maintenance at the moment. I reckon all will be fine when the dust settles. If I must, I would reupload material, but I figure the kinks will work themselves out sooner than later. Hang tight, ducklings. Back to the grind, ladies and gentlemen. Just recently married, I haven’t had much time to think about posting, but now that the dust has settled, let’s get this blog back up and running. I’m still aiming for a twice a week goal for now, so let’s see how that goes. 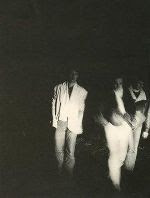 Today’s band is 1000 Ohm, a two man Belgian minimal synth project formed in 1979. Originally, 1000 Ohm was the brainchild of Frank Van Bogaert, but as the outfit continued into the 1980s, Johan Van Herck joined in to flesh out the band’s sound, joined by an unnamed third member for live shows (if anyone knows the third member’s name, please chime in). 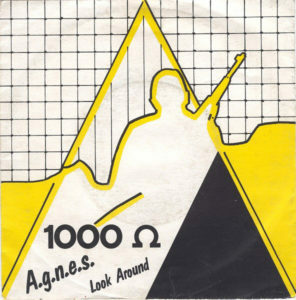 The first release uploaded today, the 1981 A.G.N.E.S. 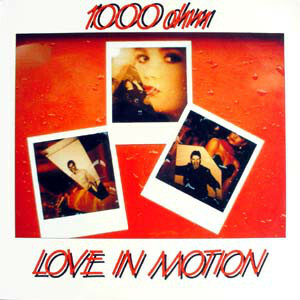 12”, features just Frank at the helm, while Van Herck joined in time for 1984’s Love In Motion 12”. 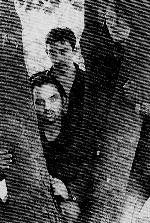 The duo split in 1987 after several more 12” singles (including ‘The Claim’ a shameless synthpop jam), and Van Bogaert went on to produce several local artists before purchasing ACE studios in Antwerp. As the nineties came to a close, Frank began to release a series of his own organic synth recordings, some of which have won German awards. He still records to this day.